Guts Casino – April Races! Earn your tickets to the draw! Win up to €1,000 in cash! Get your racing gear ready and compete in the first spring race at Guts Casino for the chance to dash for a share of €5,000 in cash. Simply play on a selection of players’ favorites to earn your tickets to the prize draw. 105 lucky winners will be randomly drawn at the end of the campaign with one players walking away with €1,000 in pure cash. 30th March – 9th April 2018: Guts Goes Miami – While you are racing for that big cash prizes, do not forget to take part in this fabulous campaign with a twist at Guts Casino and race to the top of the leader board by midnight on 9th April 2018 to win an absolute dream holiday to Miami, USA. Plus, there will be €5,000 shared among nine runners-up players. Enjoy sunny spring days and some of the most popular slots at Guts Casino and earn tickets to the €5,000 prize draw on 11th April 2018. Players can earn unlimited tickets to increase their chances of winning one of the prizes ranging from 10 Free Spins – €1,000. Earning tickets: For every €5 or other currency equivalent wagered on the eligible games, players earn 1 ticket to enter into a €5k Raffle. Amount of tickets per player is unlimited. Eligible games: Wizard Shop, Star Fall, Power Force Villains, Power Force Heroes, Dragon Sisters, Peter & The Last Boys, Gems of the Gods and Humpty Dumpty. 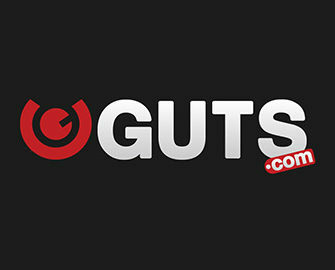 On 11th April 2018, Guts Casino will randomly draw 105 winnings tickets from all eligible entries and allocate the prizes in order they are drawn. Casino prizes will be added within 24 hours. All prizes and winnings from the Free Spins are cash, no wagering requirement. Terms and conditions apply. Prizes: 1x €1,000 | 2x €500 | 4x €250 | 6x €100 | 12x €50 | 30x €10 | 50x 10 Free Spins on Viking Runecraft. Launched in 2013 the casino is operated by MT SecureTrade Ltd. under MGA Malta, Curacao and UK licenses. A superb choice of games are on offer for desktop, mobile and tablet from providers such as Netent, Microgaming, Aristocrat, Bally, Barcrest, Betsoft, Big Time Gaming, Elk Studios, Fantasma Games, Genii, IGT, JustForTheWin, Leander Games, NextGen, NYX Interactive, OMI, Play’n GO, Pragmatic Play, QuickSpin, Red Tiger Gaming, Scientific Games, Thunderkick, WMS and Yggdrasil. The LIVE Casino tables are powered by Evolution Gaming and Netent Live. Guts Casino – €50K Cash Race & Raffles | Final Week! 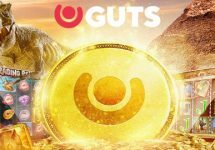 Guts Casino – Free Spins on Cazino Cosmos! 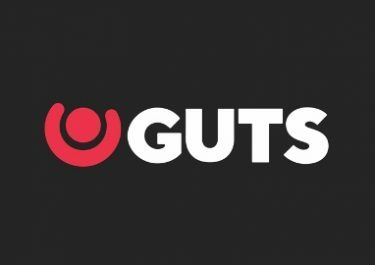 Guts Casino – €50K Cash Race & Raffles | Week 2!